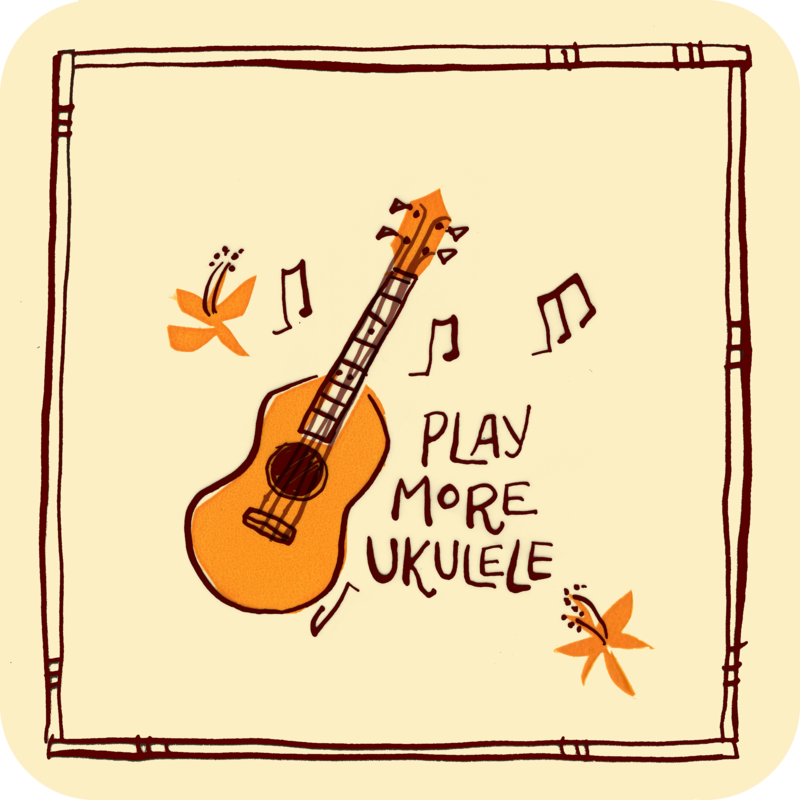 My second aspiration for the new year is to play more ukulele! I love music! In fact, in high school I played the clarinet, bass clarinet, flute, saxophone and the oboe! I also took piano and guitar lessons back when I was 13ish— I once thought I’d go to school for music. Once I graduated high school there just wasn’t enough time in the day to keep up with everything, and I realized what I really wanted to do was focus on my art. That being said, I never really lost that musical side of yourself, even if I’m focused on other things. I really enjoy the simplicity of playing the ukulele, singing and humming to myself. Its fun! it’s relatively easy and it makes me feel good! This entry was posted in Book, Silkscreen and tagged aspirations, Books, goals, intentions, ukulele. Bookmark the permalink. Is this your own illustration? Love it! I’m resolving to play more uke this year too. I stink at it but love to play. yes it is! i’m an illustrator.